From Royal wax seals of yore to wood-cuts for tattooing in indigenous tribes, the stamp was the original copy-paste tool! By applying the seemingly basic principle of recesses and reliefs, stamps can be used to create all manner of beautiful patterns and designs, any number of times. If you thought cut vegetables in craft class were all you could do when it comes to making your own stamps, think again! Open bracket presents - A DIY guide to making your own stamps. At this day long workshop, a little will go a long way as you learn a skill with endless applications! 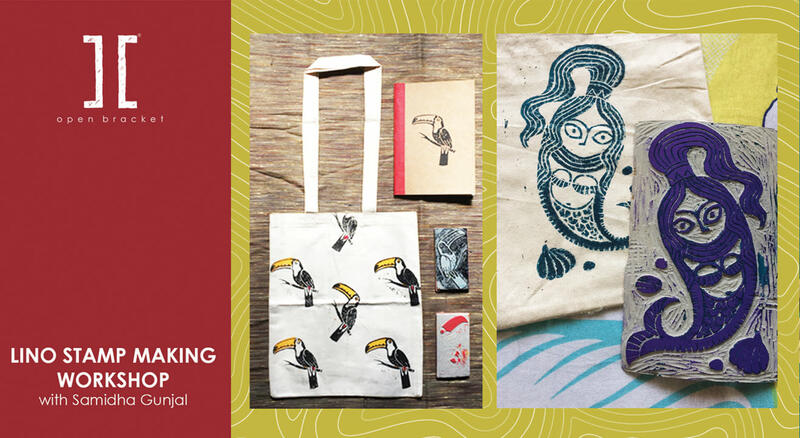 The artist, through a little lesson in the printmaking technique of linocut, will show you how you can go on to make personalized wrapping paper, bookmarks and goodies, and even patterns on clothing, with something as simple as a DIY stamp. Be sure to sign up to carve your niche, and make an impression - in every sense of the word!